Video has undeniably surpassed text a the medium of choice online. It is clear to see with the endless supply of video content on Facebook, the transition on Instagram to being a video driven platform, and the meteoric rise of Snapchat. While video on every major platform is on the rise, YouTube continues to stand above the rest when it comes to video creation and consumption. Unlike the the TV era of the past several decades, the era of YouTube is defined by competition massive. Competition for views, likes, subscriptions, shares among an army of YouTubers who are uploading over 300 hours of video onto YouTube every minute of every day. To stand out, it is critical to consider your YouTube brand, your content strategy, and your promotion methods. Fortunately, the barriers to entry in producing good videos have never been lower. With some audiences, you can get away with using a smartphone camera and delivering a snappy monologue. High quality is important though, and as you ramp up you can gradually invest in the equipment, lighting, and editing skills to make it look like your videos belong among the best. While you are making good quality content, think carefully about the brand that you can create on YouTube. The videos you make, your channel design, and your viewer interaction will dictate your long term success with anyone who stumbles upon your channel. Once your channel is optimized, it is time to promote. There are near endless ways to have your YouTube channel discovered, but the best places to look will vary based on your niche. Don't just blast out social media messages - look for the places (blogs, forums, groups etc.) online where there is an appetite for the content you are making. 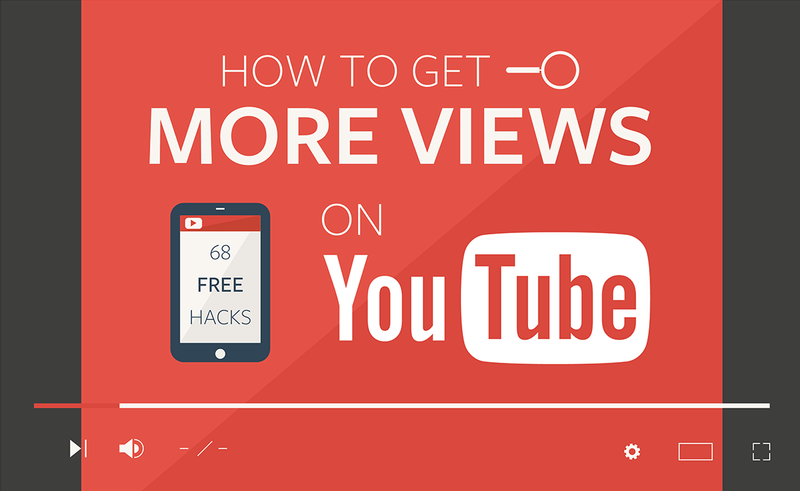 This infographic summarizes some best practices on how to get more views on YouTube content.